A new and frightening evil has arrived in Mossflower Woods. A group of strange and mysterious foxes, Marlfoxes, have left their secret island to look for treasures to give to their mother the evil High Queen Silth. 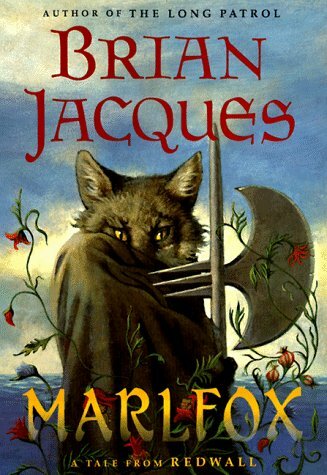 The foxes are seen by several groups of creatures who decide that the animals who live at the great abbey of Redwall need to be warned about this new trouble. Soon Redwall is packed with the new arrivals; a hare and his traveling band of players; a famous squirrel warrior and his family; and a group of Guosim shrews led by their Log a Log chief. Old friendships are renewed and new ones are begun, and for a while all is well, until the Marlfoxes and their rats arrive. Now the Redwall creatures have to fight for their lives and those of their little ones, the "dibbuns." During one of the skirmishes, the enemy gets into Redwall and steals the much loved and beautiful tapestry which is the pride of every Redwaller, big and small, old and young. A group of young creatures are told by the spirit of Martin the Warrior, that they must pursue the thieving foxes and get the tapestry back. Thus it is that Song and Dann, Dippler and later Burbler travel far from their homes to fight against evil and to get back that which belong to Redwall Abbey and all who live there. This book is yet another superb Redwall adventure. With its often amusing characters, its great battles and schemes, and its fresh and life-like characters, the story sweeps the reader up into a world where good and evil fight hand to hand and where everyone has a chance to prove themselves.